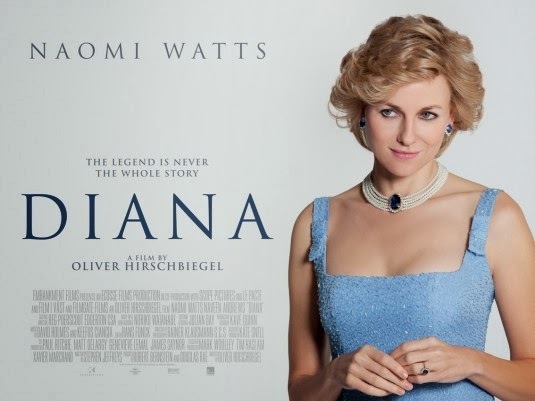 In Oliver Hirschbiegel's 2013 biopic Diana, Naomi Watts has the unenviable task of portraying the people's princess herself, 'Diana, Princess of Wales' in the last two years of her life. 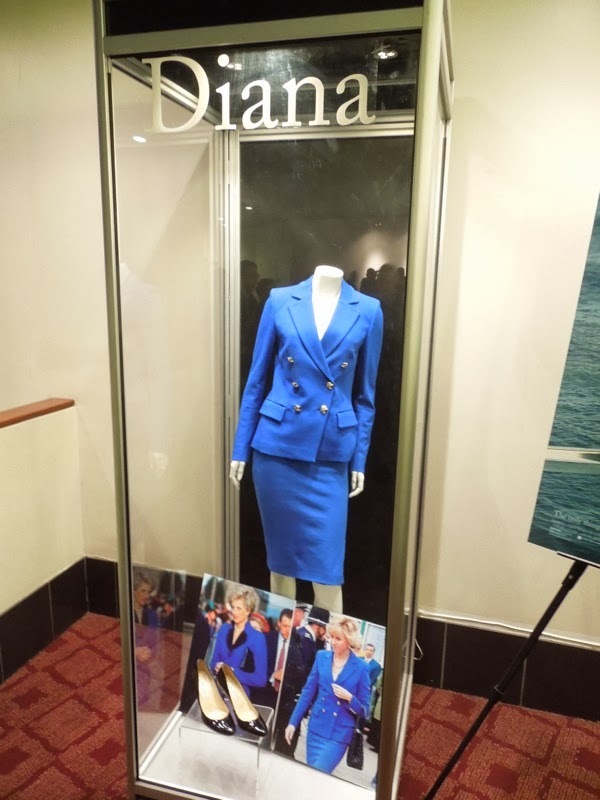 The screenplay was adapted from Kate Snell's 2001 book Diana: Her Last Love and focuses on her life after her divorce from 'Prince Charles' and her secret romance with heart surgeon 'Hasnat Khan' and her final relationship with 'Dodi Fayed'. 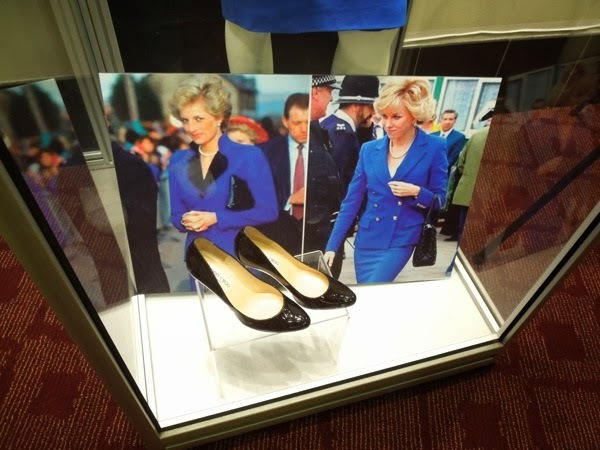 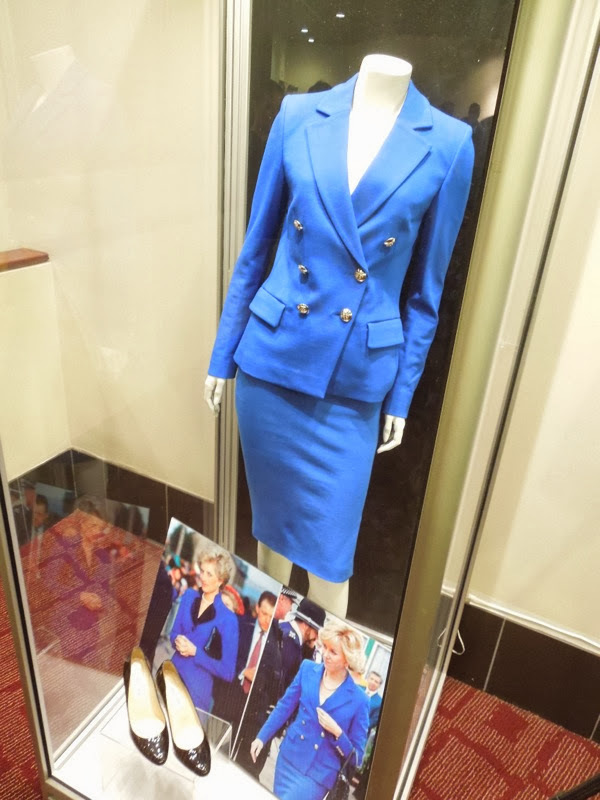 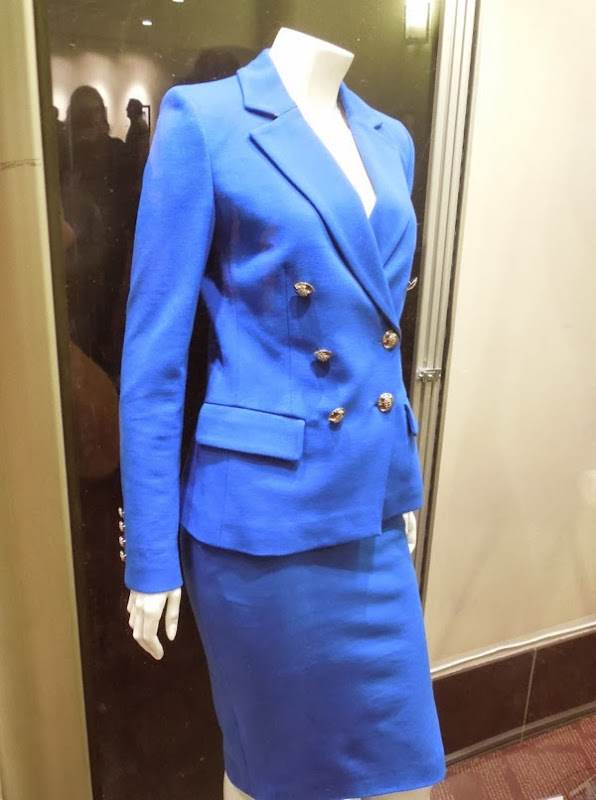 Costume Designer Julian Day was tasked with recreating Diana's iconic wardrobe and this blue outfit worn by Naomi Watts in the film was photographed on display at ArcLight Hollywood cinema on November 11, 2013. 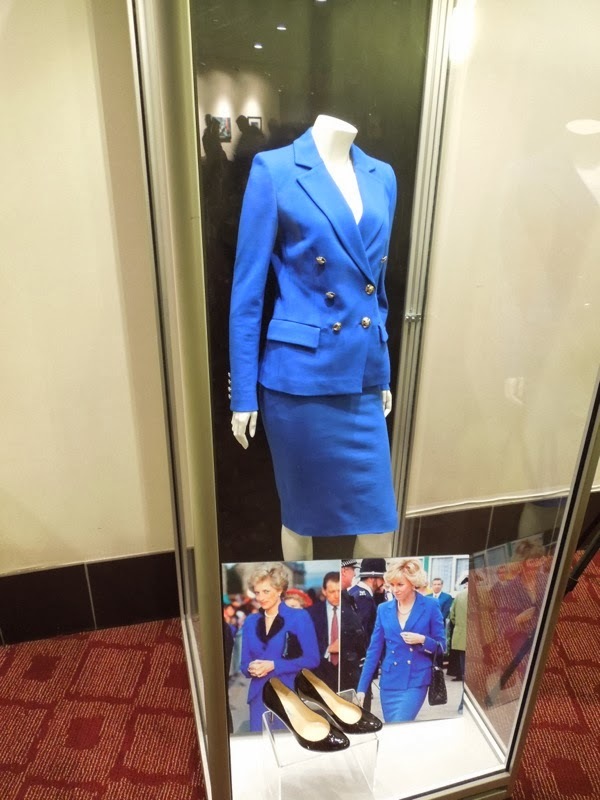 If you like this outfit, you may also like the wardrobe from the biopic about another iconic British woman, 'Prime Minister Margaret Thatcher', and the costumes worn by Meryl Streep in The Iron Lady.